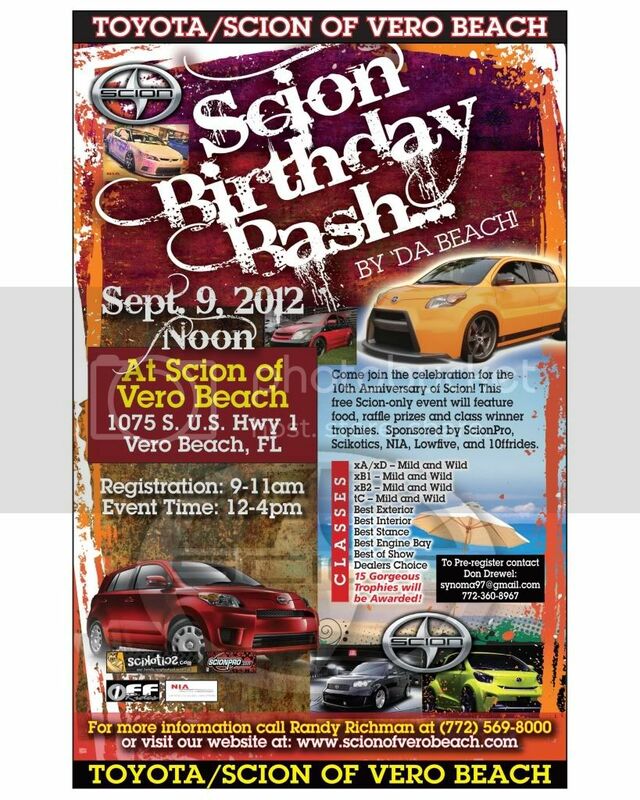 Toyota/Scion of Vero Beach is hosting a show Sunday Sept 9th. This will be a Scion only show with heavy sponsorship from Scion. Should be an awesome time. I am looking to get a roll call. My email address and phone number are on the flyer. Would totally be down but I live in IL. Maryland needs to do this also, or maybe Washington, DC.